I’m really excited to bring you REUNITED later this summer. It is now in the hands of my last beta readers! I’m nervous! In the meantime, I’m promoting both the books that come before it. Here’s the second REMOVED teaser, and the whole paragraph that quote is from. The lights in Ku 6 are low as we exit the restaurant, the streets thinning out with people heading home from work or dinner out with their families. 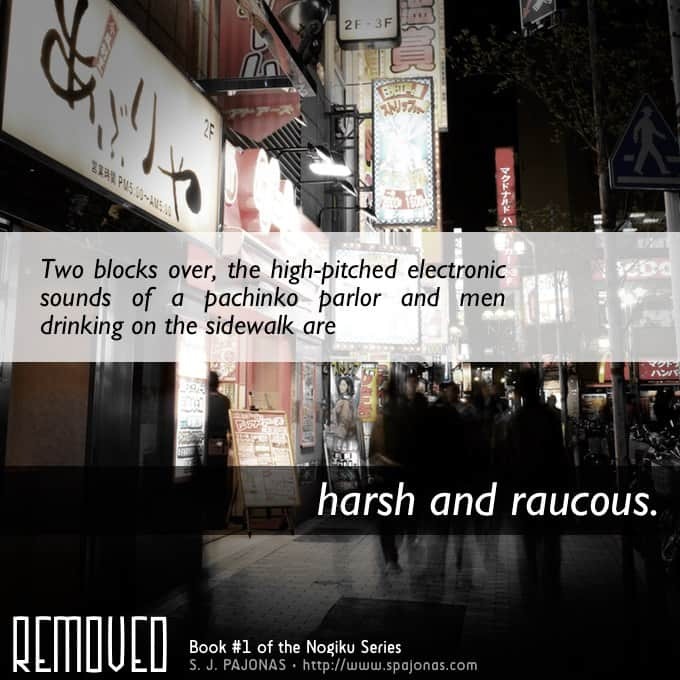 Two blocks over, the high-pitched electronic sounds of a pachinko parlor and men drinking on the sidewalk are harsh and raucous. I startle, paranoia overcoming my fatigue.